Listed below are stablished plants in 3 1/2" pots - blooming size. 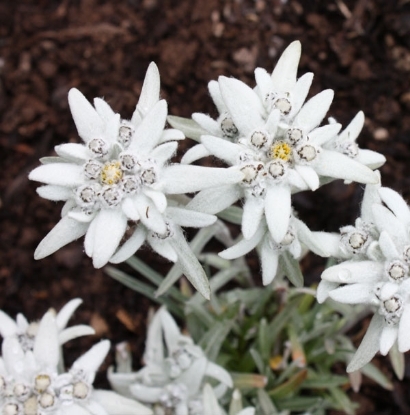 All Edelweiss types are outdoor plants (they don't last indoors), winter dormant (no top growth in winter) and hardy to at least -20 degrees Fahrenheit. They are fairly easy to grow in most well drained soils and like most plants, they don’t like wet feet. They'll perform best planted in the garden or in larger planters and with regular water, especially the first year. Once established, they can take drier spells. 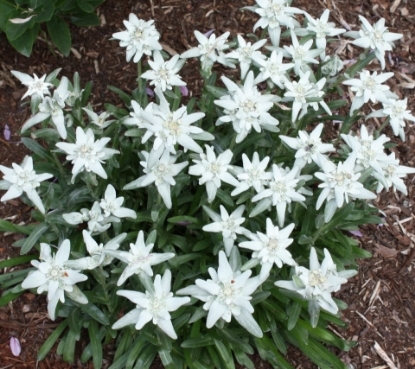 Edelweiss are not picky as far as alkalinity of the soil and fertilizing should be very little. Grow them in full sun, light shade in hotter climates. 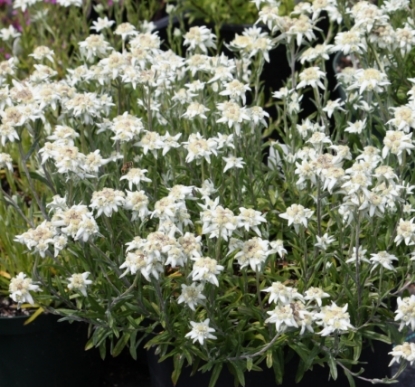 All Edelweiss types are generally not fond of hot and humid climates, although some folks in IA, IL, IN, OH, MD, NJ and VI have been able to grow them more or less successfully, just to give you an idea where they can be grown. Of course anywhere north of these states is better still. The Pacific NW, Northern California and any mountainous area is more favorable as well. 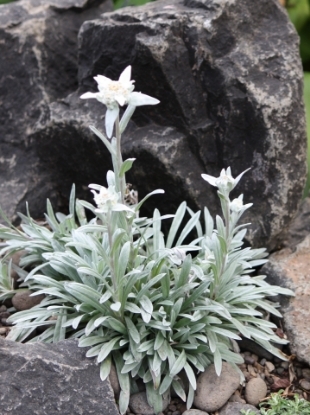 Having said all that, any Edelweiss can be short-lived anywhere. 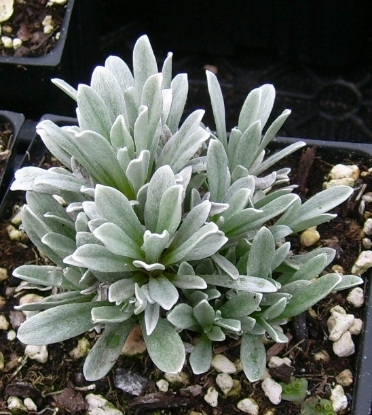 Leontopodium alpinum, the Edelweiss of the Alps is generally short lived; 2-7 years. 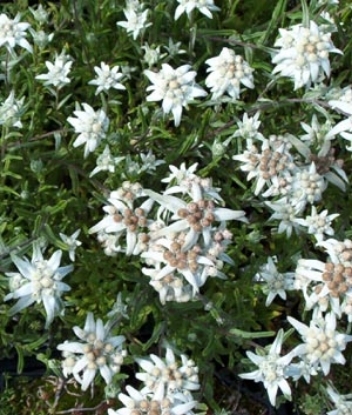 We recommend growing the variety 'Matterhorn' and Asian edelweiss varieties; they are longer lived and better at adapting to different climates. Among the many Asian species, L. sorachayi stands out as the longest blooming with a heavy second flush in fall and an equally good persistence and longevity. As of 2017 we offer L. 'Top of the World', which so far has a good longevity. 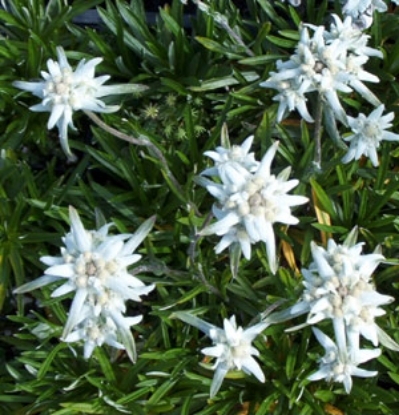 Also, make sure to check out the Trumpet Gentians to go along with your Edelweiss.